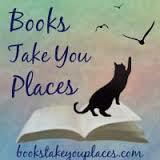 Today I am going to share my top ten favorite books to get into the Halloween spirit! After taking a peek around here, make sure you head over to Brittany’s blog to read about her top ten favorite Halloween books!! 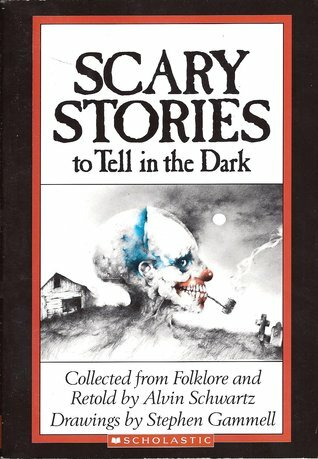 Scary Stories to Tell in the Dark by Alvin Schwartz – Who remembers this book?! I remember reading it to my brother and freaking myself out! To this day we still talk about how this book traumatized us as children! I need to find these at the library VERY SOON. Amber House by Kelly Moore – I reviewed this a few weeks back and it was the perfect book for this time of year. It kept me up at night and had me peering around corners before taking them. Goosebumps series by R.L. Stein – Who didn’t read this series as a kid? Welcome to Dead House? Night of the Living Dummy? STILL SCARED OF THEM. Miss Peregrine’s Home for Peculiar Children by Ransom Riggs – I loved this book. It read like a seriously creepy, haunted tale that really gets inside your head. Read my review, here. Dracula by Bram Stoker – If you don’t already know that I have love for Dracula then you should read my post on my favorite villains. Warm Bodies by Isaac Marion – I never loved zombies until I met R.
Anna Dressed in Blood and Girl of Nightmares by Kendare Blake – Both super scary and super awesome. Grimm’s Grimmest by Maria Tatar – Haven’t you always wanted to read the real story behind Cinderella or Snow White? This book reminds you that Grimm’s Fairy Tales started off as tales fit for adults and not children. 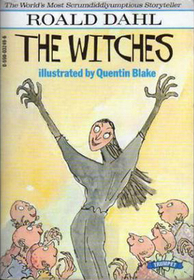 The Witches by Roald Dahl – Ahh possibly my favorite Roald Dahl book. Not too scary but a fun way to get into Halloween nonetheless. This entry was posted in Event, Top Ten Tuesday and tagged Fortnight of Fright, Halloween. Bookmark the permalink. Wait…wait, isn’t Scary Stories to Tell in the Dark the one with the girl who always wears the ribbon around her throat, and when you pull it off her head falls off? I think so, because that story TRAUMATIZED little Heidi.